Whether you are looking for a new office, shop, warehouse or hotel, finding the right commercial property is crucial to your business’s success. The first thing to decide is whether you want to buy or rent property – a decision that rests on the type of business you own, and your plans for its future. Most businesses in London choose to rent commercial property rather than commit to buying it, as it ties up less capital than buying property and gives you more freedom to relocate. There may be circumstances where you want to consider buying premises for your business – please see our Buying Commercial Property in London Guide for more information. 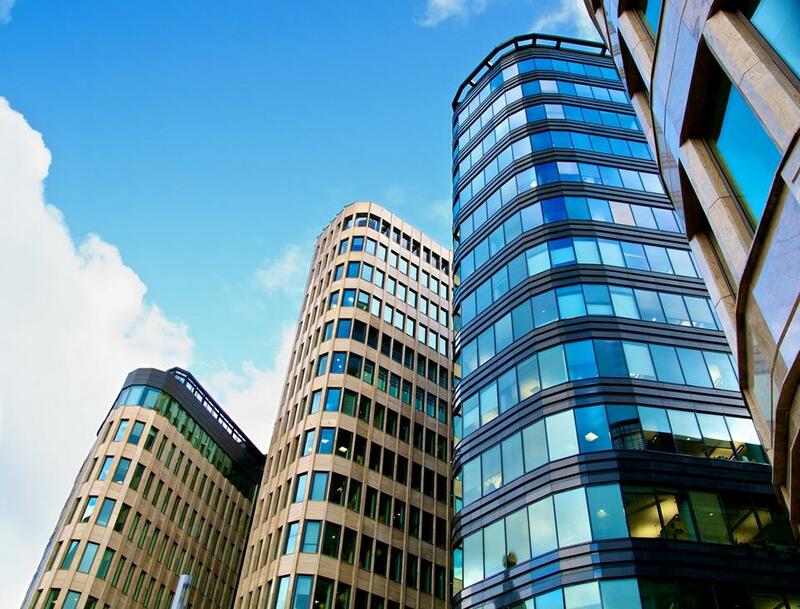 For businesses looking to rent commercial property in London, this guide outlines a few of the things you should consider before you commit to a commercial rental property. It should also introduce you to the variety of procedures you should consider when renting a property, from choosing the right type of property for your business to terminating the lease at the end. Alex Crown Commercial property agents in London have a range of commercial spaces to rent in London, so please browse our London properties to rent for the perfect space for your business. Or if you have any questions or need advice, our team of experts will be happy to chat to you about your commercial property requirements, so please call, email or visit our Islington office. Before you start looking for a commercial space London, it is important to consider whether renting is the best option for you, or whether you should look for commercial property to buy. • Negotiation – you or your agent will be able to negotiate all terms of the lease with the landlord before you sign the business lease. • Service charge – renting commercial property means you may have to pay a service charge. Generally, for the first five years of occupancy, renting commercial property works out far cheaper than buying commercial property. It then becomes about equal for the next five years and becomes more expensive from then on. If you are looking for business premises to occupy for far longer than ten years, you may wish to consider buying commercial property. Anyone else should consider renting. • Industrial – warehouses, industrial units, land etc. • Legal Requirements – whether the property meets health and safety and fire requirements. Most rental property in London has two main holds: freehold and leasehold. Freehold is not limited by time, whereas leasehold is, though often leasehold interests are just about perpetual (long leases can be granted for 999 years). The flats and property in London tend to be leaseholds. If you are in any way unsure about which type of property would be best suited to your business, our friendly staff at Alex Crown Commercial can help. So whether you’d be suited to a shop, office, warehouse or plot of land, our team can let you know about all the properties on the London market that fit your requirements. • Planning Restrictions – if you are planning to alter or expand the premises, you may wish to see if there are planning restrictions that will prevent you. • Flats in London are generally held on a leasehold basis. Alex Crown Commercial can help you to find the perfect commercial property in the right London location for your business. Please browse our huge selection of property to rent in all areas of London, or drop us a line if you have any further questions and our experienced staff will be happy to assist you. Whatever commercial property you are looking for, we can help you to find one in the most suitable location for your business. London commercial property can be rented for as little or a long as you require. If you are looking to rent commercial property for very short term (for example, to complete an order), you should opt for a short term lease; if you are searching for commercial property to rent in London for longer than three years, a long term lease is more suited to you. • Long Term Lease Agreement: Typically between three and 25 years, and suitable for all types of property, where the landlord or tenant is one person or company. Can be used on whole buildings, part of buildings or units on a site. If the commercial property is part of a building, the Landlord undertakes to repair and maintain the structure and exterior of the building – the Tenant contributes to the costs of such maintenance by means of a service charge. This lease is not suitable for charities. • Short Term Lease Agreement: Typically between a few months to three years in all types of property, and can be used for whole buildings, parts of buildings and estate units. The Landlord is obliged to repair the property, the Tenant’s obligations are limited and there is no service charge. The Landlord is not obliged to insure the property. Includes the option for a ‘break clause’, which means either party may terminate the lease from a given date. Alex Crown Commercial can help you to negotiate with your landlord how long your lease should be and what type of contract you have. • Maintenance – check who is responsible for the building and external areas maintenance and repair, whether you or the Landlord. • Restrictions – depending on your business, there may be certain parking, rubbish disposal, noise or lighting restrictions on the building that may affect you. • Energy Performance Certificates – your Landlord should provide you with one of these, which will give you a good indication how much your utility bills will be, and how energy efficient your new property is. • A Deposit (typically about six months’ rent). • Electrical Safety – you are likely to need to take care of wiring systems and electrical equipment. If you want to make any alterations to the interior of the property, or very small changes to the outside, you may not need planning permission, but should check with your Landlord what they allow. Planning permission is generally required if you wish to make changes to the outside of the property, and if you have renovation plans for the building, you may wish to check with your local planning authority before you sign a lease. Before you start work, also check the lease to see whether you will need to return the property to its original condition, before you move out. Before you start renting a London property, you will have agreed the amount of rent you pay with the landlord. This is normally paid on a monthly or quarterly basis, and if you fail to pay, the landlord may be forced to terminate the tenancy and take action to recoup the debt. If your lease includes ‘Rent Reviews’, which may alter the amount of rent you pay, these often occur every three or five years. If neither Tenant nor Landlord can agree to a new rent review, an independent professional may be brought in to settle it. If you want to vacate the premises before your lease runs out, check your lease, as it may allow you to sublet the property – staying as tenant but subleasing to another tenant, so long as you get permission from your Landlord. For a commercial property to rent in London, please browse Alex Crown Commercial property agent’s variety of commercial property. Whether you want to rent office space, a shop or an industrial unit, we are sure to have the right commercial property for you. Or for more information, please give us a ring or come into our office at 708 Holloway Road, Islington, London N19, and our staff will be happy to assist you.